My college thesis was a year-long project to design and implement a multi-media campaign. The TAP Initiative — Take Away Plastic — aimed to eliminate bottled water usage on a university campus. 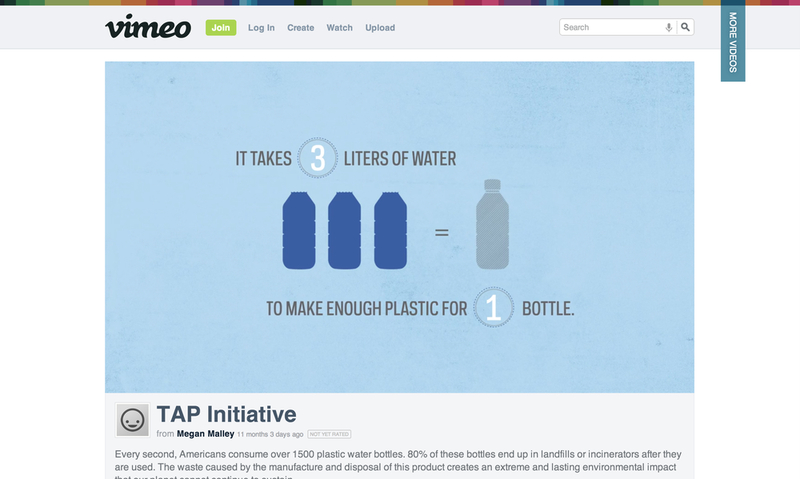 The campaign included a website, a book of statistics about the environmental impact of plastic bottles, a motion infographic video, and also a large-scale campus installation. On March 4th, 2013 I set up a string of 1,000 empty plastic water bottles across Notre Dame's main quad, demonstrating the massive amount of waste generated by Americans in just two thirds of a second. Watch the behind-the-scenes video of the creation of the installation.